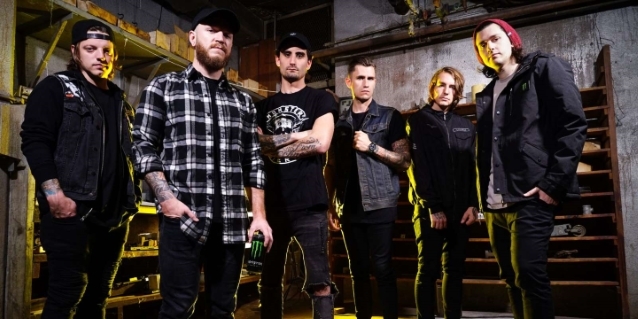 Share the post "WE CAME AS ROMANS ‘Throwing Demos’ Around For Next Album"
Dave Stephens of the Michigan metalcore act WE CAME AS ROMANS has told Billboard that the he and his bandmates preparing to enter the studio to record their first album since the passing of singer Kyle Pavone. Kyle died last August of an accidental overdose. “We’ve been throwing a few demos around,” Stephens said. “I love that we’re going into the studio with so much to write about and something that hits home for all of us so hard. We’ve never had something so terrible happen, and I think it’s going to be therapeutic to write about it and be together and go through the whole process. I’m actually really looking forward to it. Last fall, WE CAME AS ROMANS opened for BULLET FOR MY VALENTINE and is currently on the road with CROWN THE EMPIRE. WE CAME AS ROMANS‘ fifth album, “Cold Like War”, was released in October 2017 through SharpTone Records. Pavone joined WE CAME AS ROMANS in 2008 as vocalist and keyboardist and appeared on all five of the band’s albums. Their 2013 LP, “Tracing Back Roots”, peaked at No. 8 on the Billboard 200 chart.